Part Number(s): A33K230,TN321Y, TN-321Y. Konica Minolta bizhub C224, Konica Minolta bizhub C224e, Konica Minolta bizhub C284, Konica Minolta bizhub C284e, Konica Minolta bizhub C364, Konica Minolta bizhub C364e. Compatibility:Konica Minolta magicolor Series Printers. Manufactured by Konica Minolta. Konica Minolta BIZHUB PRESS C1060. Konica Minolta BIZHUB PRESS C1070. Konica Minolta BIZHUB PRESS C1070P. Capacity :Standard Yield. Yield :Black 66,500 / Cyan 78,000 / Magenta 54,500 / Yellow 71,000. Manufactured by Konica Minolta. Konica Minolta NEC IT45C4. Capacity :Standard Yield. Yield :Black 45,000 / Colors 27,000. Yield Type :Pages. Konica Minolta Bizhub C224. Konica Minolta Bizhub C224e. Konica Minolta Bizhub C284. Konica Minolta Bizhub C284e. Konica Minolta Bizhub C364. Part Number(s): A0VW134,TN614K, TN-614K. Konica Minolta Bizhub Pro C65HC. For Use in the Following Compatible Machine Models. Manufacturer Part Number A33K230. Product Model TN321Y. Compatibility: Konica Minolta BizHub Laser Printers : C224 C284 C364. Manufacturer Konica Minolta. Print Color Yellow. We focus on making purchasing online a pleasant experience. 947109, 00FM, 00FV, 30265, 46FD, PRT1. Part Number: 947109, 00FM, 00FV, 30265, 46FD, PRT1. Konica Minolta. KONICA 1112 DEVELOPER BLACK. Color: Black. Condition: Surplus - New, never used. It may have expired date codes, be missing the box, have shelf wear, tears, etc. A0WG02F, TNP20K. Part Number: A0WG02F, TNP20K. 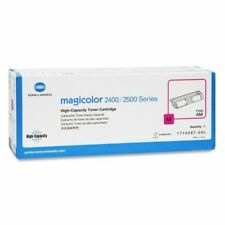 magicolor 3730DN. KONICA MINOLTA MAGICOLOR 3730DN TONER YELLOW HY (TYPE AM). KONICA MINOLTA MAGICOLOR 3730DN WASTE TONER BOTTLE. KONICA MINOLTA MOGICOLOR 3730DN TONER CYAN HY (TYPE AM). Konica Minolta Multifunctional & All-in-One Machines bizhub C224 MFP, bizhub C224e MFP, bizhub C284 MFP, bizhub C284e MFP, bizhub C364 MFP, bizhub C364e MFP. Ink or Toner Color Yellow. Manufacturer Part Number: A0X5132. Product Model: TNP22K. Manufacturer: Konica Minolta. Compatibility:Konica Minolta bizhub Multifunction Printers Product Condition: Original. Print Color: Black. Technical Information. New, OEM, Konica A33K332 Magenta Toner (TN512M) for b izhub C454, C454e, C554, C554e. 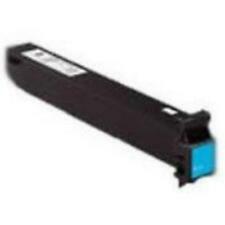 Compatible Konica Minolta Bizhub 4050P/4750P TNP44(A6VK11K) Toner. Konica Minolta Bizhub 4050P/4750P. 3、Page Yield @ 5%Coverage: 20,000(20K). 2、Color: Black. Magicolor 2400W magicolor 2430 DL. magicolor 2450 magicolor 2480mf. Magicolor 2480MF Magicolor 2490MF. magicolor 2490mf magicolor 2500w. magicolor 2530 DL magicolor 2550. magicolor 2550 DN magicolor 2550 EN. Compatible Konica Minolta Bizhub 3320 TNP41/43( A6WT00W) Toner. Konica Minolta Bizhub 3320. 3、Page Yield @ 5%Coverage: 10,000(10K). 2、Color: Black. Konica minolta is dedicated to providing high-quality prints and continued reliability from your printer. competitively priced and specifically engineered- genuine konica consumables provide the best possible resolution- color and shading.